At the end of the ten “Days of Awe” comes the coup de grâce: Yom Kippur. But instead of a big feast or party, Yom Kippur is a solemn day of atonement for the Jewish community. It’s important to keep the people you love in mind, and sending a Yom Kippur greeting card is a thoughtful way to show them you care. During the Day of Atonement, Jewish people worldwide are called to make up for all the bad things they have done over the past year, including crimes against God, improper practice of their religion, and perhaps cutting people off in traffic. To do this, the faithful spend a day in repentance, refraining from eating, drinking, bathing, washing, perfumes, and leather shoes – because after all, God does have good fashion sense, and would certainly approve of the designs on our Yom Kippur cards. In addition, God forbids Jewish people from “marital relations” during Yom Kippur, having already covered extramarital relations in one of the commandments. But there’s no prohibition against sending family members a Yom Kippur card; in fact if you don’t you’ll probably have to do some atoning to them as well. Yom Kippur is preceded by Erev Yom Kippur, the last Day of Awe before the final day of awww. Unlike Yom Kippur itself, Erev Yom Kippur is a day of gatherings and feasts, which you’ll need for the next day of fasting. The observance of Yom Kippur begins at sundown and lasts until sundown of the next day, and like any day of fasting, it goes by slowly. Once the day is over, you can go back to doing stuff you’ll end up repenting during the next Yom Kippur. But don’t forget to keep your family and friends in mind; Yom Kippur cards with warm wishes during the holiday, though not quite as satisfying as a warm meal, will nevertheless help them make it through. 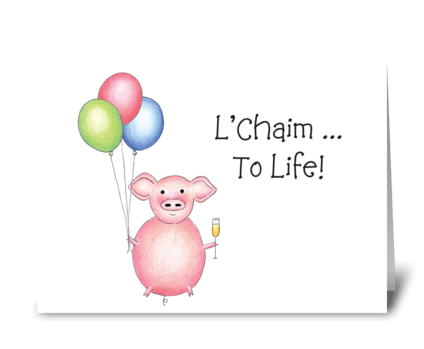 Browse our Yom Kippur cards today!